We're Back! Sorry we've been gone for a while. We had some issues with our domain registration, but it's all been taken care of. 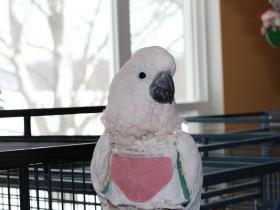 We are an avian rescue located in Upstate NY (Central Square).. We take in birds (mostly parrots & cockatoos) that need new homes, & work hard to find them. Follow the link below (or click here) to go to our online store. 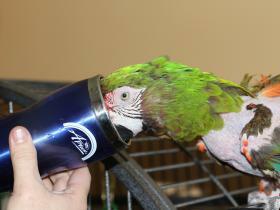 There's lots of things there for your birds, & all proceeds go directly to the care of the birds. 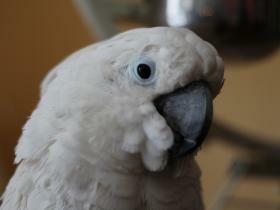 We currently house between 24-28 birds, ranging in size from Conures (small) to Macaws (large). You can see photos of some of them in the slideshow below. If you would like to donate through PayPal, you can do it through the link below. Thank you. Please visit us at upcoming shows. Follow the links to find our public summer shows on the Event Page.